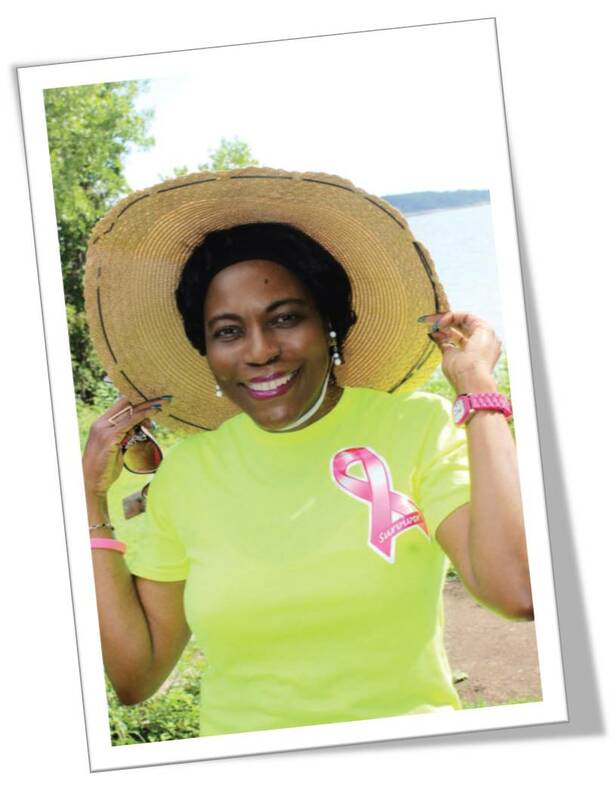 I have survived breast cancer twice, and I’m here to tell you about my journey and how it has affected my life. I received my first cancer diagnosis between 1999 and 2000. I had both a mammogram and an ultrasound but neither showed anything definitive; however, the doctor advised me to monitor for six months. During that time I noticed leakage when certain areas around my left breast were pressed. I returned to the doctor who removed a portion of the duct and sent to pathology to confirm an infection. My duct was infected but there was also a malignancy behind the infected duct. I was diagnosed with ductal carcinoma in situ (DCIS). He then removed a larger area which came back with positive margins so I then underwent a partial mastectomy. I was treated with Tamoxifen which eventually I was unable to tolerate. At that time, I had everything I needed to wage my battle against cancer – a wonderful job with benefits, financial security, and support from friends and family, as well as the wonderful residents at the Gables in Farmington, where I worked. These important resources – my “safety net” – helped me fight stronger and recover faster than I might have otherwise. I know this to be true because I had a recurrence in 2005, under very different life circumstances. The recurrence in 2005 was on the same side under my arm. This time I had a mastectomy with reconstruction to follow with a saline implant. Things were different because I lost everything – a dear hospice patient, money, friends; my marriage dissolved and I was left to face the challenges of cancer largely alone. The stress took its toll not only on my body, but also on my mind. In addition to cancer, I faced severe depression from financial strain and social loss. God bless a wonderful doctor, Dr. Christie, who understood the stress I was under and helped me fight for my life. Given my struggles at the time, I sought assistance through the traditional health care system. I had surgery, was prescribed medication, and alerted about side effects. My body was treated, but the difficulties with my body were only part of the problem. There was still the ‘other half of the person’ – the half whose social world had been turned upside-down, who no longer could smile and laugh, who could no longer afford rent. I found that additional sources of help were needed to deal with the psychological ramifications. Without the availability of proper resources, you become more susceptible to depression and healing as a whole person. It has been 16 years now and I am still on my journey. I recently noticed a lopsidedness developing and after discussing with my doctor, it will probably mean another surgery to correct. I find surgery an exhausting ordeal. The pain of the healing is often what is most feared; but it also takes me weeks to recover proper cognitive functioning, as I feel myself in an uncomfortable haze, straining to regain normal alertness and memory. research, I have learned to address these issues to help provide support for others like myself through the care experiences that Gardner’s House makes possible.